Outwardly, the principal director of the Kharkiv Afanasiev Puppet Theater looks like... a ballerina, being as thin, slim, and stylish. Meanwhile, Dmytriieva’s profile view reminds of her Greek origin a bit. In conversation, she gets inspired, and then one only needs to be fast enough to record the thoughts that define her productions. The Kharkiv Puppet Theater had good directors before Dmytriieva as well, but the theater which she has built over recent years is just unique! Her performances are full of fantasy, music, poetry, they animate objects and matter... This is not some low-brow show of puppet passions, but an oasis of spirituality: the more theatrical companies clog the scene with pieces made to suit an undemanding spectator and tasteless staging techniques, the more works of high classics and its bright, figurative incarnations appear in the puppet theater’s repertoire. Recently, Dmytriieva received the Les Kurbas Award, marking an unconditional and well-deserved triumph of the director and her theater... Incidentally, each of her productions resonates with spectators of all ages, and critics write complimentary reviews with enthusiasm! Tell us, please, about your latest work first, I mean William Shakespeare’s Hamlet. Quite a few directors, especially of the puppet theater, would not dare do such a project! Hamlet is an enigmatic play, a litmus test of its time, its accurate cardiogram. What have you seen in it today? You share the success of your productions with the theater’s art director Natalia Denysova, who is your colleague and associate. I remember Denysova saying in an interview that the main thing in the performance was the director’s concept, and the artist’s work just “accompanied” it. The skill with which artists of the puppet theater convey the poetry lines of Shakespeare to the public is, in my opinion, unattainable today for any drama theater company, and not only in Kharkiv. I can assume that you work with actors based on your own methodology during rehearsals. How do you look at a rehearsal? The company, in my opinion, should be grateful to you for such extraordinary tasks, for your demanding approach and creative inspiration. I like your actors from Hamlet very much – Oleksandr Markin, Tetiana Tumasiants, Viacheslav Hindin, Hennadii Hurinenko, Olena Hrabina, Oleksandr Koval... The show makes one think again about the usual phenomena, the essence of which the actors are rethinking before our eyes, as they first optically bring it closer to us, but then shove it back to the global level. The puppet theater becomes a model of the world, a metaphysical instrument for its comprehension. Tell me, in what relationship are you with the traditional puppet theater? Have you switched to the animation theater completely? What, in your opinion, is the main thing in theatrical directing? Dmytriieva’s shows were entered in more than 50 national and international festivals, where they repeatedly won high awards. 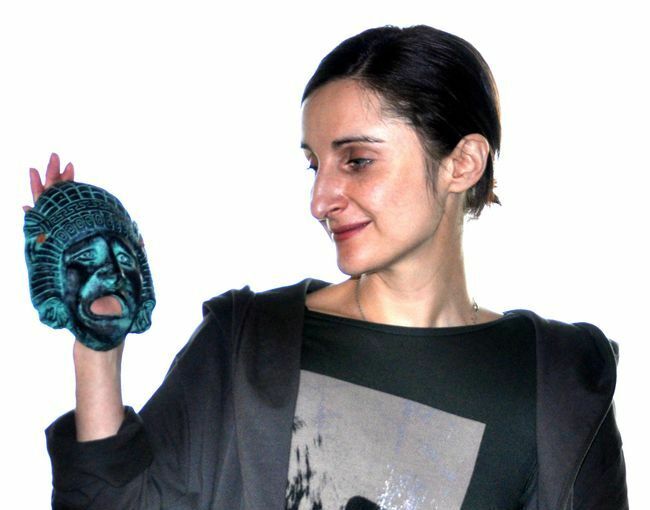 In 2018, she became the first winner of the newly reestablished Les Kurbas Prize – a prestigious Ukrainian theatrical award.